A man was trapped briefly under his truck as he worked on the vehicle Thursday at his Black Rock Turnpike home, prompting emergency crews to be dispatched to the site. 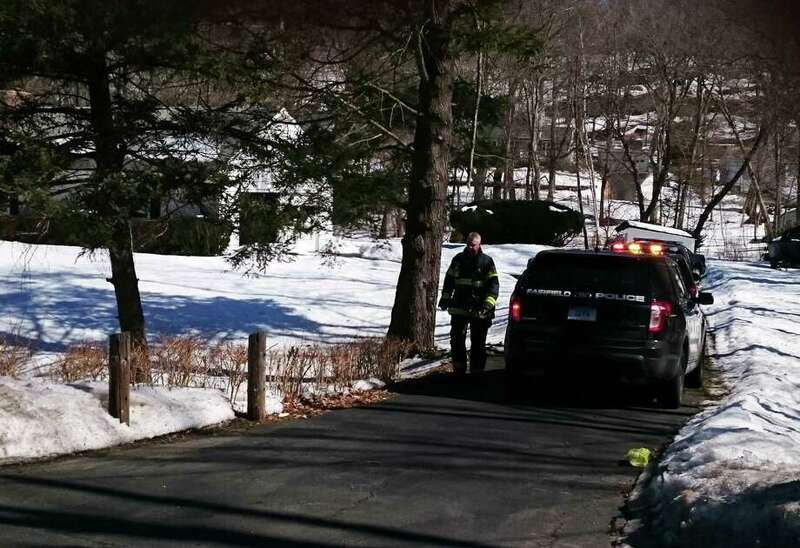 The 95-year-old man found "unresponsive" beneath his truck Thursday morning at his Black Rock Turnpike home died later that day, a few days after his lone remaining blood relative had passed away. Philip Grabowski, who lived alone, was found beneath his truck by an in-law who regularly visited him. The primary cause of his death is believed to be hypothermia from exposure, police indicated Friday morning. His death is not being investigated as "suspicious" at this time. Grabowski would have been 96 in July. His wife died about 30 years ago. His body was found by Peter Luzetsky, 87, who was related to Grabowski by marriage. His only blood relative was Joseph Michalek, who died earlier in the week. With all of their wives deceased, Luzetsky said the trio of men became were like "the three Musketeers." Michalek, Luzetsky said, had a large boat that they'd all use to go fishing. "He was a real avid fisherman," Luzetsky said of Grabowski. "I went fishing with him. He was a saltwater man, I was freshwater, but I turned into a saltwater man." Grabowksi grew up on Riverside Avenue, according to Luzetsky. "He used to live in Ash Creek," he said, fishing, clamming and even catching eels there. He was also a fan of the state's casinos, Luzetsky said, but not as much the last four or five months, and also liked growing vegetables in his garden..
"He had a good life," Luzetsky said. Luzetsky said he checked on Grabowski daily to make sure he'd taken all his medications. He said he took Grabowski on Tuesday to see Michalek in the hospital, and on Wednesday -- the last day Grabowski alive -- took him to Chip's Restaurant for breakfast. When Luzetsky on Thursday went to check on Grabowski, he found him underneath the truck about 11:30 a.m. Thursday. "Whatever he was doing, I don't know," Luzetksy said. Grabowski was a Navy veteran who served in the South Pacific, and was an usher at Holy Cross Church. Reports from the scene indicated the man was bleeding from the head when he was discovered, although how that injury occurred was not immediately clear. Police said the truck had not fallen on him. While police are still investigating the circumstances of Grabowski's death, early indications are that he hit his head and either ended up underneath the truck because he was disoriented, or crawled underneath the vehicle to keep warm after becoming injured. Investigators believe he had been there on the floor since the previous afternoon. He appeared to regain consciousness after being pulled from under the truck, and was then taken to a hospital for treatment. - Updates at the Fairfield Citizen: www.fairfieldcitizenonline.com.